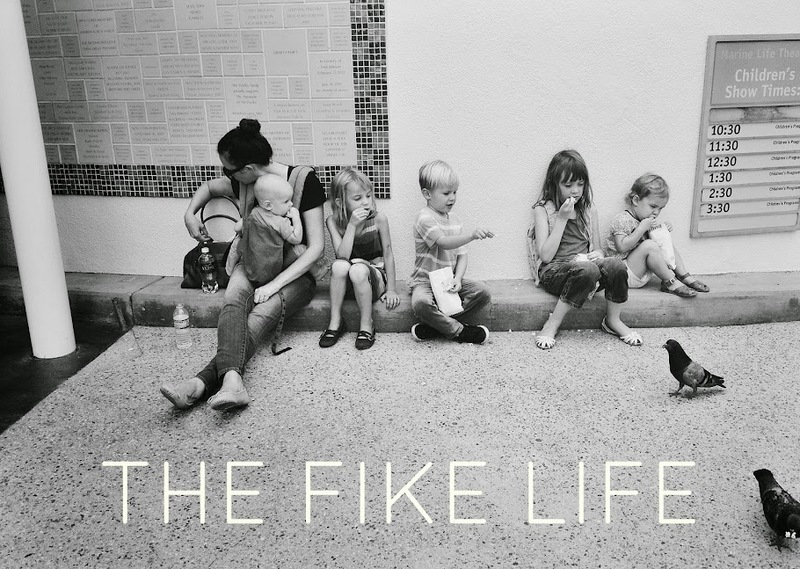 The Fike Life: Adventures in minimizing and a list of what I love. Adventures in minimizing and a list of what I love. I know I've mentioned minimalism and decluttering about 50 times in the past few weeks. It's a process that (I assume) will be ongoing for a while. I feel like I'm still getting a handle on the hows and whys of stuff. One thing I know for sure is my decluttering process always has and always will be marked by the simple phrase- have only what you need, have only what you love. I find that once I honestly ask myself the question, there is a lot I don't need, and a lot I don't love. My general rule of thumb is to get rid of whatever falls in between, and lately, that is proving to be many things. But as I am learning to be more intentional about what we have, I am also finding that I want to be more intentional about what I buy. I care about quality, and affordability, and usability, and all of that, and I'd rather have less things that really work, really well, than many things that I don't care much for. As I went through our cabinets, the things I got rid of (like the 37 random free restaurant cups in stacks upon stacks upon stacks) have helped me to identify why I wanted to keep what I kept. And I find that I am attracted to having one type of a thing. I think that that's partly because it frees up some mental space for me- these are our plates, these are our bottles, this is my dish soap, etc. Once invested in that particular item, my brain can sort of file that category off somewhere that I don't have to go anymore. I already know these things work, I already like (love) them, and now I have them- so no more browsing aimlessly through a Target aisle for this or for that. But also, having one type of thing, or only a particular brand, pleases me aesthetically. Not at the cost of quality, but still, important. 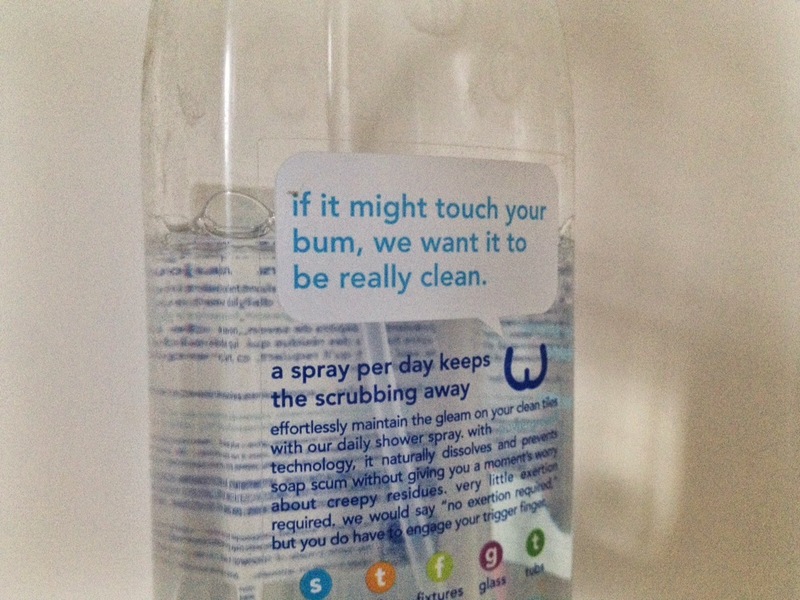 Even when it comes to cleaning bottles. Call me shallow, I don't mind! For me, it makes a difference. In the end, we have less, we spend less, we consume less, without sacrificing quality, what's practical, or what we really love. I mean, that's the goal at least. Talk to me in six months, but HERE'S TO STAYING POSITIVE! And I like the practical, so I compiled a leedle list of what we kept, and what I love, when I charged through our house like a bat out of hell with a hefty bag. This is sort of a hodge podge of costly, free, diy, practical, easy, etc. Some are affiliate links, some are not. Read on, if you daresies. These are tried and true and satisfy my all my crunchy hang-ups. The glass doesn't break and they come in cute rubber sleeves. We have four bottles for Clemmy but could do less if I got better at keeping track of them. I bought them here and there over time so the investment never felt too steep. Stop buying deodorant right this instant. This is seriously the best deodorant I've ever used. It's so basic you probably can make it right now in 2 minutes when you're done reading this post. 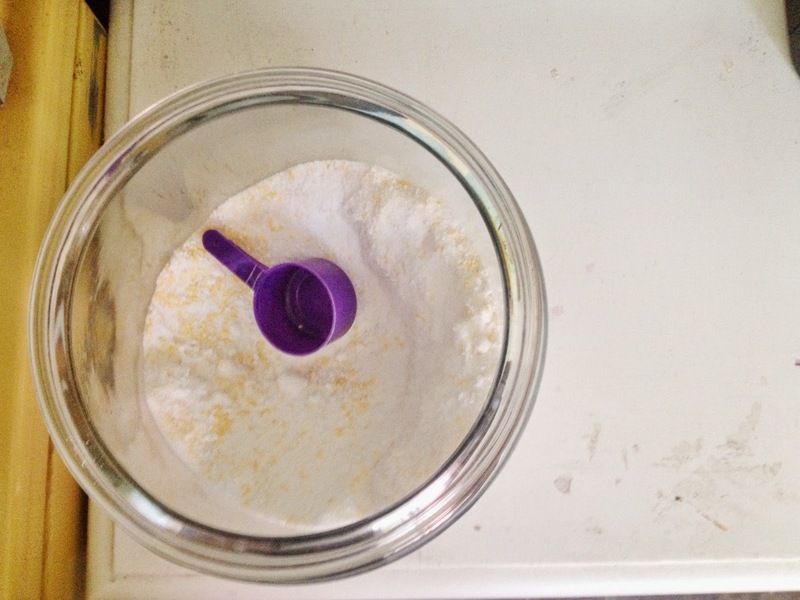 1/4 cup baking soda, 1/4 cup cornstarch, 6-8 tbsp of coconut oil (until you reach a good consistency). I also add a few drops of lavender oil, because who doesn't want lavender pits? Mix it up and put it in a jar. Boom. As long as I have people in my house that break things, I'm serving you water in a old, free pickle jar. Or maybe a pasta sauce jar. Don't hate me for it. I already talked about this, didn't I? Well now I've had these for a few months and I still super love them. I love that they are not breakable, I love that you can buy tumblers and mugs, and I love that you can dress them up for a nicer occasion in keeping with the farmer-chic style. Again, smells good, works good, no ruining the planet guilt. But don't buy from Amazon (although you're welllllcome to shop through my link), buy through Vitacost where they usually sell it for around $3. When they do, I usually buy 6 bottles so I don't have to think about it for a while. It's all about mental freedom, ya'll. Does this list have anything to do with decluttering and minimizing? YES. Know what you love and only have that. Sell the rest at a yard sale. The only things I still finding myself buying at random or trying new brands of are wood floor cleaner (Do you steam?? Mop? Talk to me...) and hand soap. I sort of bounce around too much in the toiletry department, too. I've been using Alba hair products and Burt's Bees for the kids and I'm pretty happy... but am I sold?? Let me know if you've got any magical secrets. How much exists in the middle? I am on a minimal-living mission as well, by physical necessity of living in a small apartment, and also the fact that I have too much crap -- and thank you for the tip on the containers and the cleaners! Ugh clothes are so hard! I can be pretty sentimental, too, so I try to wait for seasons when I'm feeling particularly heartless (these come in waves) and then I tear through my closet. For things that hold a really special memory, or clothes I think my daughters might really love to play dress-up with someday, I keep those in a under-the-bed plastic bin. Have you ever thought of that? You can still slim down your drawers/closet, while hanging on to a few special things. I am terrible at the tear-through of my closet, but when I look in my closet and think, "I have nothing to wear," I have been getting pretty good at eliminating an item or two that seems particularly awful at that moment. I love love love this! I feel like I could have written it. And we're vacaying currently but this makes me want to go home and be more deliberate about our life there. I love my Lifefactory and Klean Kanteen bottles! I haven't tried the Klean Kanteen sippy cups yet, but I might soon. We have the 5 and 9 oz Lifefactory baby bottles but my little guy can't seem to hold them up really well yet on his own. Maybe he's lazy, or maybe he's holding out on me. He's only one though. Have you had any issues with the weight of them? I love my grownup size Lifefactory bottle too! Did my comment dissapear?? I basically said we started with the smaller size but it was after our daughter was a year...so, maybe that's important? now we can fill up the 9 oz one and she holds it just fine! I just imagine it's something they learn to do. How old is your baby? Your comment must be lost in internet limbo. Iggy is just over 13 months old, so maybe we should go back to giving him water out of the smaller bottles. Have you tried the zippy cup attachment? Drives me crazy! I pulled out the little silicone insert and let him use it that way. Trying to get back in step with this too! I love my vintage pyrex mixing bowls - I have to try to damage them and even then! I'm also a fan of the mason jar glass/mason jar storage/mason jar anything. I get the bigger ones and use them for water cups, spice storage, random tidbit storage, putting actual food in like they're intended (p.s. 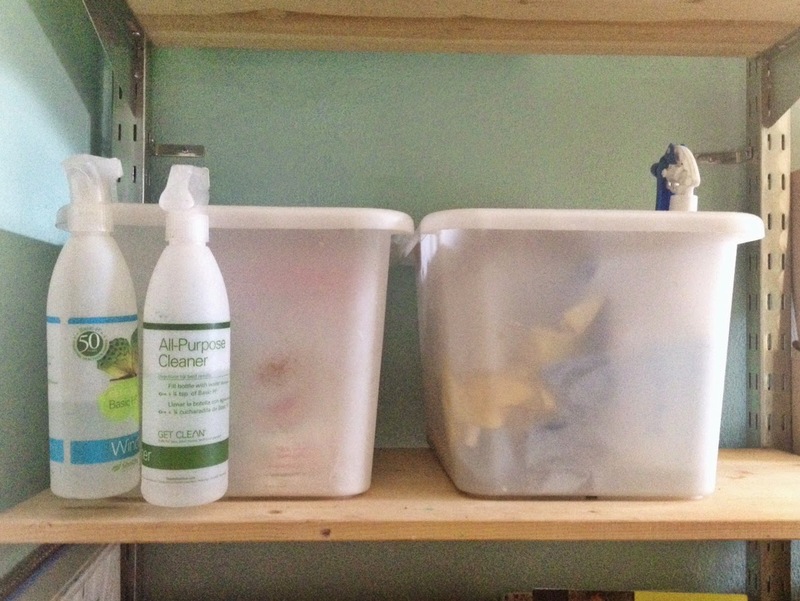 for regular dry storage the plastic lids are worth the investment!) I think I'll look into Kleen Kanteen, we have a bajillon sippy cups (thanks Grandma!) and I'd love to get rid of them. We are working on minimalist as well. We are having our first baby in October and I am on a mission to declutter. We are also in the midst of a huge renovation. Fun times here. The clutter has to go. I use a similar laundry detergent but it's even easier! Equal parts borax, washing soda, and oxy clean. And then I only need a tbsp for each load. Great list! Murphy's Oil Soap for the hardwoods. Does the Basic H have a smell? So why don't you use the shaklee for your shower? Does it only "shine and clean" but not "deep clean/disinfect"? You mean the same all-purpose cleaner? Just because I like to not clean my shower, and so I favor the "spray and leave it" type of after shower spray- which is the kind that I posted. I'm assuming Shaklee would need a good wipe down and I'm trying to avoid that. Ha! Yep, that was my question. Because I was thinking "if this girl is trying to simplify, why would she use multiple cleaners IF she could just use one, unless one was just a shiner and not a disinfectant-type cleaner"? Right? I love this list and can totally relate! Especially with the homemade deodorant... I finally got around to throwing it together last week. I used arrowroot instead of cornstarch, added a generous amount of tea tree oil (extra anti-fungal/stink power), and a few TBS of beeswax so it always stays solid at room temp. I poured it into an old deo container and then let it set for a bit in the fridge. OMG it is 100x better than ANY storebought, whether natural or chemical-laden. I'm sad I waited this long to try it too! Thanks for the bulk laundry deterg recipe, too! Mine only makes enough for like a month, so this is great. Question: what's your preferred method for grating soap? I don't have a food processor, so I've been doing it in the Ninja blender, which can't get it fine enough (soap chunks come out in the wash, undissolved). I'd almost rather buy soap flakes on Amazon, but would love to know how you do it. I love that beeswax idea! I hand grate it. It's a little bit time consuming but never so bad that I dread it! I grew up using 1:10 dilute Basic H (the original H2) as body wash, face wash, etc. My mom even washed our hair with it when we were babies (and she still swear by it for getting rid of cradle cap). It was basically the everything-cleaner in our house, just in different dilutes like you've said. Method makes a great wood floor cleaner, I think. It's almond-scented (which I love). The mop liquid is great, and the wipes are good, too (frustratingly disposable, but I love them for wiping wood furniture after a spill clean-up, so not used too often, but they seem to do the job to prevent water stains). The only caution for the wipes is if you ever use them on the floor they make the floor bowling-alley slick. Great post! I've never done DIY deodorant, partly because most recipes use coconut oil and I abhor anything coconut, but I do use the crystal rock one. I'm a sweater, can't help it, but when I realized 3 different prescription-strength antiperspirant/deodorants weren't going to make me sweat less, I switched to natural deodorant. After the change over period I do think I sweat a bit less, but a long as I shower and apply the rock once a day I don't stink, so I'm happy with it. Oooh I'm totally getting the wipes. I love me a good disposable something. I've heard of the rock! Good to hear it's working for you! You should try out the honest company (www.honest.com) all their products are affordable and totally guilt free for the environment and safe for pregnant women and babies! I have started ordering their stuff and am really happy with it! plus it was cofounded by Jessica Alba..who woulda thunk. Her book "the Honest Life" is really informative about ...basically everything from bad chemicals to look out for to her own fashion and beauty advice! That kleen kanteen is genius! We also use Shaklee. For our showers I just use a squeegee every day after my shower. It keeps all of the moisture (and mildew) from building up. I go an embarrassing long time between scrubs. Great post! I've been putting off making deodorant for a long time but I really just need to give it a try. I actually bought one from Alba that totally doesn't work for me. Bummer! I agree about the kleen kanteen being a good idea! Do you cloth diaper? If so, do you use the same detergent for diaper laundry? Vinegar and water on your wood floors! (And linoleum for me!) With a regular old mop. Leaves everything clean and not coated. I've been on a minimalist kick myself. I'm growing more and more crunchy as life goes on. I'm really loving essential oils these days because I can use them for soooo many things from an ear infection cure (true story) to cleaning. Who doesn't want cleaner that if your child accidently drinks it, its no biggie? Quick question- Anyone who has used Shaklee Basic H2- does it smell good/ clean? It sounds awesome for it multi-purpose uses, but I really like things to smell good after I sweat it out scrubbing it, ya know? I totally agree! But it doesn't smell like anything:/ I wouldn't let that deter you, though. Burn a lavender candle! Thank you thank you. 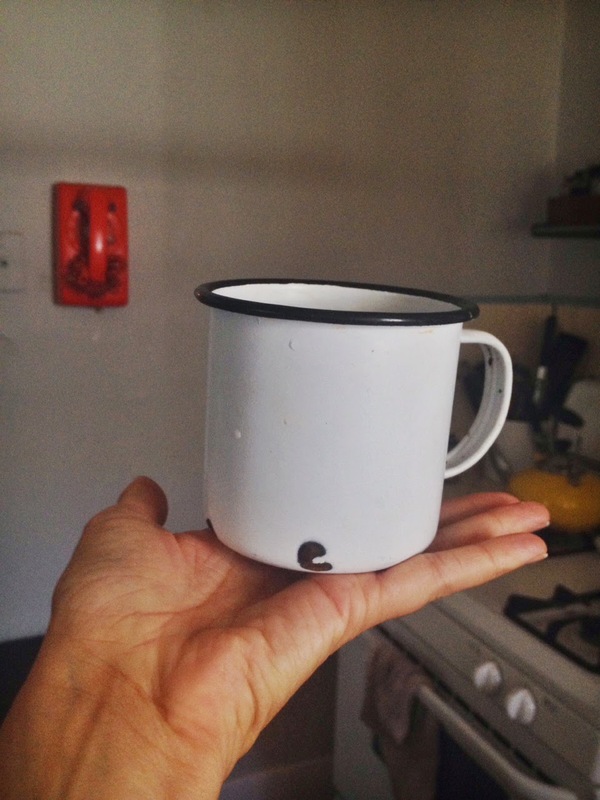 I've been having a meltdown of sorts over this BPA free (or not?!) nonsense and I'm ready to just ditch all the plastic. So. Thanks for your recommendations. Nice post, This is useful information, Thanks for sharing with us.